Vitamin C and hydrocortisone appear to be designed by nature to naturally interact with each other to optimize the antioxidant impact in diseased and infected tissues, and to directly promote the recovery of their normal functions while accelerating their healing. Linus Pauling taught us in his 1970 and 1986 books how important vitamin C is to children, reducing blood levels of lead, and helping to avoid the associated mental decline. Who Has the Power to Plant Fake Medical-News? The media is full of false medical news stories. Only you can hold them accountable for lies about prescription drugs, and lies about alternatives to conventional medicine. In a final test, the researchers grew breast cancer cells in the lab and introduced a wide variety of FDA-approved cancer drugs. Several treatments, including vitamin C, suppressed lactate dehydrogenase production. 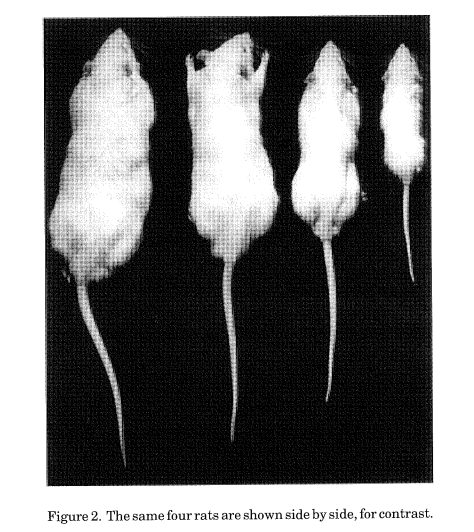 When vitamin C was injected into stressed mice, tumors shrank. Vitamin C Giant Will Be Missed: Dr. Sydney Bush is Dead. Are Prescription Drugs Designed to Actually Make People Sick? A recent phase I human trial (2018) published in the medical journal Cancer Research evaluated the effect of intravenous vitamin C and usual traditional therapy on advanced pancreatic adenocarcinoma. The study demonstrated that intravenous vitamin C in combination with the usual chemotherapy (gemcitabine) and radiation therapy almost doubled survival time (21.7 months compared to 12.7 months) and the time of no progression of disease increased threefold compared to their control (13.7 months vs 4.6 months). In addition, the intravenous vitamin C protected normal cells from the toxic effects of radiation therapy. "Scientists from the University of Iowa have confirmed that high doses of vitamin C does selectively kill cancer cells without damaging normal cells: one study shows it to reduce mutations that cause cancer in mice, and another shows it can kill up to 50% of human lymphoma cells." What If 800,000 Americans Didn't Have to Die This Year? Vitamin C supplmentation may reduce the harms of smoking to a pre-born infant's lungs if the mother is unable to quit smoking during pregnancy, according to a new study. The findings proceed previous proof that daily supplemental vitamin C for pregnant women who smoke improved newborns' pulmonary functions. Though vitamin C supplementation has been proven to preserve infants' airways, McEvoy emphasized that getting expecting mothers to quit smoking during pregnancy "has to be priority one." A Cocktail Of Vitamins (C and B1) And Cortisol (Hydrocortisone) Cures A Major Killer In Hospitals. The interesting aspect is that most doctors are not familiar with hydrocortisone, the bioidentical equivalent to our natural hormone cortisol. hey are much more familiar with the drug-analogs, such as prednisone. But this Sepsis treatment specifically makes use of hydrocortisone. ER doctors, at least, have some learning to do. Owen Fonorow, founder and director of the non-profit Vitamin C Foundation, and author of the best selling Amazon book, Practicing Medicine Without A License, (2003), first established the web site PaulingTherapy.com in 1996 after watching a Linus Pauling video lecture: The Unified Theory of Heart Disease (Video released circa 1992). Pauling was age 92, lucid and described his invention that has turned out to be a way to completely control cardiovascular disease – exactly as 2-time unshared Nobel prize winner Linus Pauling thought it would. The story of the cure and suppression are at PaulingTherapy.com. Turns out, it isn't. The suppression of vitamin C isn't the greatest. There is a much larger suppression, but that is the story to add to the book. THE CURE FOR EVERYTHING. Safer than vitamin C. Orthomolecular. Can and should be given to pregnant women. Yet doctors are told, and they believe, it is the most "dangerous" drug they prescribe. Stay tuned. Owen has been proselytizing the so-called Pauling Therapy for heart disease (a term he invented to honor Pauling, and even wrote the best selling Amazon book (in its category) PRACTICING MEDICINE WITHOUT A LICENSE (now available in Amazon Kindle format). Owen knew there were callers, FDA 'plants,' investigating what he was saying over the phone, so he stopped taking phone calls, in favor of recommending the book. He titled the book because he was carefully advising callers over the phone – heart patients and doctors – to ignore a specialist, their cardiologists, and listen to Linus Pauling instead. Can you believe there has never been a SINGLE study (outside of Pauling's associate Matthias Rath) published to test Pauling's invention and unified theory? Most cardiologists will tell patients there is no proven value in vitamin C for heart disease. They're right. There isn't any "proven" value, because no one has tried to prove it – or disprove it. It simply works like a miracle in days. When it doesn't, we analyze cases at our forum, so we find out what is wrong (perhaps high blood sugar) and forum readers can monitor in real-time. We never know what will happen. Very few cases are intractable. One thing from Owen's 2018 doppler (and previous perfect Thallium stress test in 2010/2011), it doesn't prove Pauling was right (he was), but it does prove that taking Pauling's therapy religiously as Owen does HAS NOT HURT IS HEART. Scientists have discovered that vitamin C promotes the repair of the myelin sheath surrounding neurons, making it a potential treatment for multiple sclerosis. In this study, a research group led by Professor Xie Xin at the Shanghai Institute of Materia Medica of the Chinese Academy of Sciences found that vitamin C greatly enhances the differentiation of oligodendrocyte precursor cells (OPC) to oligodendrocytes (OL). OLs form myelin sheaths by wrapping around neurons in the CNS. The researchers established a high-throughput screening system to identify small molecule compounds that may promote OPC to OL differentiation. They found that vitamin C facilitates the formation of myelin sheaths in a co-culture of OPCs and neurons. Furthermore, vitamin C promoted the repair of myelin sheaths in vivo, as well as provided significant therapeutic effect in an animal model of multiple sclerosis. Interestingly, vitamin C’s function in promoting OPC differentiation is not related to its antioxidant activity. Rather, the researchers suggested that an intracellular mechanism might be involved. Answers to Most Questions About Vitamin C, e.g., How Much Should I Take? I was born and raised in a household where we used vitamins instead of medicines. Consequently, I am very familiar with utilizing high-dose vitamin C to prevent and cure illness. Now that I have children of my own, vitamins help keep them healthy, too. I think you can do the same for your family. Starting around minute 40, the USC research is discussed that found fasting mice can survive 2 to 3 times the ordinary cancer chemotherapy dosage that is allowed in humans, while the mice on a regular diet all die. 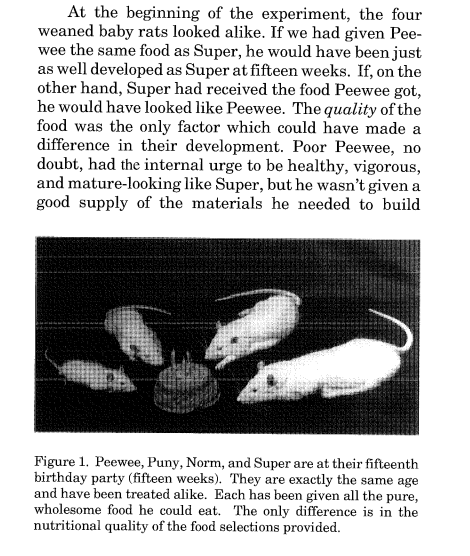 In other words, a fasting mouse can survive a high toxic load. The major finding is that the gene expression makes cancer cells MORE susceptible to chemo, and fasting even kills cancer cells without chemo. The documentary reviews 60-years of untranslated Russian research into the unexpected health benefits of fasting. The clinics in Russia and Germany use 25 to 30 days of fasting, and the film goes on to explain how the gene expression (that changes in 2 days) explains many of the benefits. "Nonalcoholic fatty liver disease (NAFLD) is the most common cause of chronic liver disease in children, and the prevalence of pediatric NAFLD has increased rapidly over the past two decades." A retrospective study was conducted that compared 47 patients given the Vitamin C based treatment with a control group that received standard treatment. The results were astounding. In the Vitamin C group, only four patients died from sepsis, representing less than 9 percent of the experimental group, while 40 percent in the control group died. In a follow-up study treating 150 patients with Vitamin C, only one death from sepsis was recorded. The use of high-dose IV vitamin C is being studied in both colon cancer and pancreatic cancer. The way that vitamin C targets the KRAS-mutated cell is through the Warburg effect in which cells travel through a pathway where their energy metabolism is affected when they receive high-dose vitamin C. In a sense, it is a metabolic killing of the cell, forcing the cells into oxidative phosphorylation rather than the glycolytic pathway. Vitamin E is particularly important to protect ourselves against dementia. Large studies in the US and Europe have found that elderly people who consumed more than 16mg a day of vitamin E had a 67% lower risk of developing dementia compared with those who consumed little to none. Dementia risk was further reduced by taking vitamin E in combination with vitamin C. Both these vitamins protect brain cells from the harmful effects of toxins and free radicals, while vitamin E has the added benefit of increasing oxygen delivery to the brain. New research published in the journal Aging finds a compound that stops cancer cells from spreading by starving them of vitamin B-2. The findings may revolutionize traditional chemotherapy. Joe Rogan Reacts To Ridiculous Pharmaceutical Adverts! There is a credible connection between MSM and hair growth. 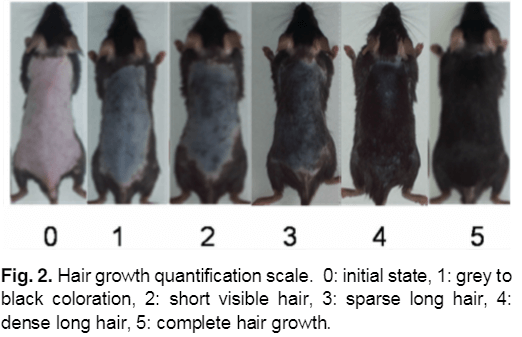 One study looked at the effect of Methylsulfonylmethane (MSM) on hair growth in mice. The researchers combined MAP (a form of vitamin C) at 7.5% and MSM at 10% and concluded that results were “comparable to or better than the result in the group treated with minoxidil 5%”. Drs. Passwater and Saul discuss the many known health benefits of high-dose vitamin C.
In the diabetic group, the levels of serum urea and creatinine, skin lipid peroxidation and nonenzymatic glycosylation levels increased, but skin glutathione levels decreased. Treatment with vitamin C, vitamin E and Se reversed these effects. The present study showed that vitamin C, vitamin E and Se exerted antioxidant effects and consequently may prevent skin damage caused by streptozotocin-induced diabetes. Nutritional deficiencies resulting from insufficient intake or absorption of nutrients critical to human health are now a recognized risk factor for psychiatric disorders," the authors write. Overall, our findings implicate tobacco-smoke oxidant(s) as the primary etiopathogenic factor behind both the noncellular and cellular damage mechanisms governing emphysematous lung injury and demonstrate the potential of vitamin C to accomplish holistic prevention of such damage. These findings, published in Free Radical Biology and Medicine, suggest that vitamin C deficiency could contribute to the pathogenesis of Alzheimer’s through altered mitochondrial function and that avoiding deficiency through diet and supplementation could protect against disease onset. In the middle-aged (MA) mice, oral administration of vitamin C significantly inhibited wrinkle formation, skin atrophy, and loss of elasticity through increasing collagen and elastic fiber. The increase in transepidermal water loss and the decrease in skin hydration were recovered by vitamin C treatment in the MA mice. Overall, vitamin C effectively prevents cellular senescence in vitro and in vivo suggesting it has protective potential against natural aging of the skin. More support for the Sen et. al Vitamin C (and B3) findings (below). This prospective cohort study with quantitative assessment of supplemental intakes suggests a potential protective effect of several antioxidants (vitamins C and E and Se) on digestive cancer risk, and a modulation of some of these relationships by alcohol consumption and smoking status. High Dose (and Not Low Dose) Vitamins C and B3 Kill Tumor Cells of the Intestines, Study. For the first time in the history of science a group of researchers found that higher doses of vitamin C and Niacin, or vitamin B3, destroy cancer stem cells. Published in the journal Cell Biology International, the study investigated both low and high doses of vitamin C and Niacin on stem cells tumors of the intestine. Different dosages produced opposite effects. Thus, it was found that when taking vitamin C to create a concentration of 5-25 micromole/L of vitamins C and B3, which is a low dosage, there is a process of active reproduction of stem cells tumors of the intestine. At high dosages (creating concentrations of 100 to 1,000 micromoles) these stem cells are destroyed. The Vitamin C Foundation calculates that continuous oral supplemental oral intakes of vitamin C can achieve the study's reported cancer-lethal concentrations in the blood. The normal lab range for vitamin C is 0.4 mg/dl to 1.5 mg/dl, (23 to 85 μM/L). The Indian study results indicate that a 100 μM concentration (1.76 mg/dl) is the low end of the cancer-lethal range, or just above steady state. Sustaining this level requires continuous vitamin C supplementation, as long advocated by vitamin C experts Steve Hickey and Hilary Roberts, PhDs. While intravenous vitamin C can exceed the 10,000 μM by 2.5 times (e.g. 440 mg/dl or 24,983.2 μM/L ) this is apparently suboptimal, and it is difficult to keep people on constant intravenous vitamin C infusions. The low range (5 to 25 μM) that promotes the growth of cancer stem cells equals a lab range of 0.08 to 0.44 mg/dl which is below normal and can easily be raised through regular vitamin C supplementation. Note: The current government RDA for vitamin C, and the dosage recommendations currently from the Linus Pauling Institute, promote Cancer Stem Cell (CSC) proliferation that spawns malignacies. According to the findings of researchers Sen, et. al., the dosage for cancer patients needs to be much higher to avoid spawning new aggressive cancers. The Sen study is published in the journal Cell Biology International. Note: Pauling and Robinson are vindicated! They were both right. We are pleased that many more people will now learn about Linus Pauling's non-prescription invention and therapy for heart disease. VitaminCFoundation.ORG's mission: Change FDA law that turns non-toxic vitamin C into a "drug" because we tell the truth and say that vitamin C prevents, mitigates and/or cures disease. 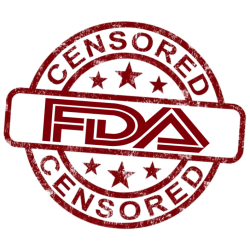 In the spring of 2017, after more than 20 years online, the FDA sent us a warning letter. Our attorney's advised us that this web site cannot have links positive scientific studies about vitamin C if we also sponsor and have links to any vitamin C products. Whose interests do you think the FDA is really protecting? Sign the Petition Maybe vitamin C does threaten the profitablity of medicine? Non toxic substances that make people healthier are not drugs. Telling the truth should never be against Federal law. Drugs should be drugs because taking them might otherwise harm people without regulation. Chicken Soup is not a drug, no matter what any company selling it says. The Foundation hired Jonathan Emord and Associates to draft an amendmend to FDA law that alter the wording of the Federal Food and Drug act. "If the claims for vitamin C are correct, it might replace many lucrative and expensive medications. As they researched their book ASCORBATE, Steve Hickey, PhD, and Hiliary Roberts, PhD, began to wonder if Linus Pauling's offense had been to discuss openly the properties of a substance that threatens the profitability of medicine." "That vaccine is killing more African children than diphtheria, tetanus and pertussis (Whooping Cough) combined." - Robert F Kennedy, Jr. In 2007 alone the U.S. Consumer Product and Safety Commission recalled 338 products from China (NPR, 2007b). Rising costs of sterile vitamin C solution may have unexpected benefits as doctors return to earlier practices. He too had a run in with the feds, was investigated and charged. 3rd "Alternative" Prominent Doctor From Florida Found Dead in 2 weeks. Authorities say MD was murdered. Looking for Dr. Robert Cathcart's ORTHOMED Web Site? After Dr. Robert Cathcart, III, MD passed, his web domain was purchased by a firm in Germany. Fortunately, Dr. Cathcart had the foresight to ask the Foundation to copy his entire domain to our web site. Dr. Cathcart's original web site now starts from www.orthomed.com/. In other words, prefix this website's domain to the old web addresses/links. Vitamin C Dosage in Disease Cathcart's Bowel Tolerance paper in PDF suitable for printing. What if All Vitamin C Isn't Created Equal? Vitamin C comes in many forms. The most common form of vitamin C is Ascorbic Acid (Hydrogen Ascorbate). Vitamin C does not have to be acidic. It is also found in various alkaline forms; the mineral ascorbates: e.g. Sodium Ascorbate, Calcium Ascorbate, Magnesium Ascorbate, Potassium Ascorbate, etc. Note that all forms are "ascorbates." It is really the "ascorbate" portion of each molecule that has vitamin C activity. Chemists refer to vitamin C as the ascorbate ion, but the ascorbate fraction rapidly attaches to some other ion (e.g. hydrogen, sodium, calcium, magnesium potassium, etc.). Usually, vitamin C is referred to as the most common form: Ascorbic Acid. Vitamin C also comes in different shapes in three-dimensional space. The different shapes of the ascorbate fraction have the same atoms, but the atoms are arranged differently, much like the right hand is the same but different than the left hand. This is called chirality in chemistry; Linus Pauling explained that there are exactly four different shapes ("sterioisomers") of the ascorbate ion, and they are L-ascorbate, D-ascorbate, LD-ascorbate and DL-ascorbate. 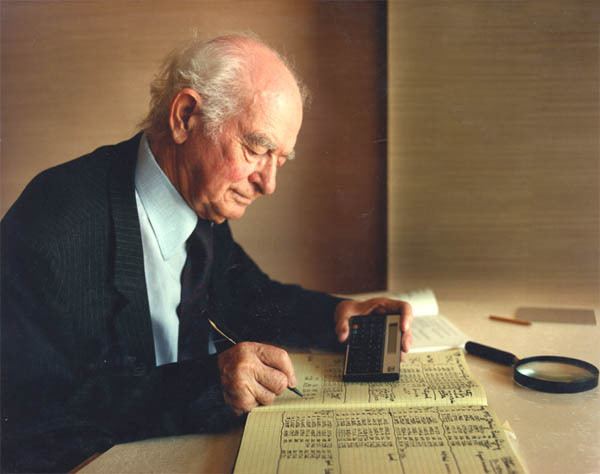 Thanks to Linus Pauling we know that only the L-ascorbate shape has vitamin C activity, i.e. only the L- shape can cure the vitamin C deficiency disease scurvy. Read more at our vitamin C Basics page.